No crew? No problem. Summer is only as fun as you make it, so why stay home this season? We’ve picked out eight places any traveller should consider spending summer solo. Not digging the summer crowds in Bali? Take it a little further off Lombok to Gili Islands, a largely undiscovered paradise known for its incredible snorkelling and diving. There are three Gili islands to choose from (and a couple of secret ones), which is why we’ve come up with a quiz to find the right Gili island or you. Our favourite thing about Gili? No cars. It’s tough enough deciding between Koh Samui and Phuket, but Krabi definitely gives any Thai destination a run for its money. 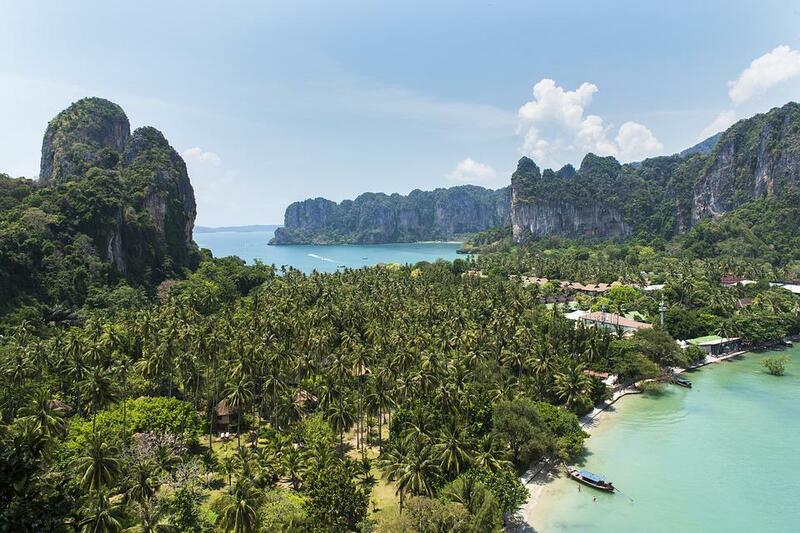 Some 30 years ago, two German backpackers discovered the beauty of Krabi, which is why it’s a known pitstop for backpackers with its laid-back lifestyle. But anyone that’s been lately can tell you how amazing Krabi is for every type of traveller and budget. Your summer doesn’t have to revolve just around the beach. Especially not when you have the charming Hoi An so close by. A ‘step-back-into-time’ city that was once a Southeast Asia trading port from the 15th to 19th centuries, this heritage city is for the traveller who can truly appreciate architecture and central Vietnamese food (they have the best Banh Mi at a place called Banh Mi Phuong). Hoi An should definitely be your next stop, and remember to head to one of their expert tailors who can make you any clothing or bag you wish in just the span of a few hours! Digging the city vibe? Then you’ll enjoy the cosmopolitan Seoul, where skyscrapers, Buddhist temples and pagodas reign. There is so much more to Seoul than k-pop, for one, 10 of the best Korean BBQ restaurants. They’ve also got one of the best subway systems in the world, free water everywhere and occasionally, free coffee (read our k-hacks here). Take it all in at the tower on Namsan mountain where you’ll be treated to the best views of the city. Greece is one of the busiest destinations during summer, sure, but how can you say no one of the most beautiful and interesting places there ever was? If you want to travel like a Greek God, there’s no denying Athens a spot on your itinerary. Athens is steeped in rich history; the prominent Acropolis that sits high above the metropolis, where you’ll also find sites like the Temple of Athena Nike, the Erechtheion and the Parthenon. If Prague hasn’t found its place on your bucket list yet, it definitely should now. The capital of Czech Republic is hauntingly beautiful with gothic architecture found at the Old Town Square all way to the largest coherent castle complex in the world, the Prague Castle. Tourists and locals alike spend evenings walking across the Charles Bridge, where rubbing any one of the 30 saint statues is said to bring you good luck. July is Amsterdam’s biggest festival season, with 10 music and food fests this year alone! Take all the time you need venturing into museums, biking along canals and getting high (legally, of course) at cafes. Amsterdam is such a safe place and the people are incredibly friendly, you wouldn’t feel scared cycling your way back to your hotel in the middle of the night. Not to mention, Amsterdam is the Disneyland of cheese, or as they call it, kaas. If you’re looking for heaven on earth, Tahiti may very well be it. It’s the largest island in French Polynesia and is serene, peaceful and lush, but if you’re looking to make new friends on the road, areas like La Plage de Maui (great for snorkelling!) and Plage du Taharuu are popular with crowds. 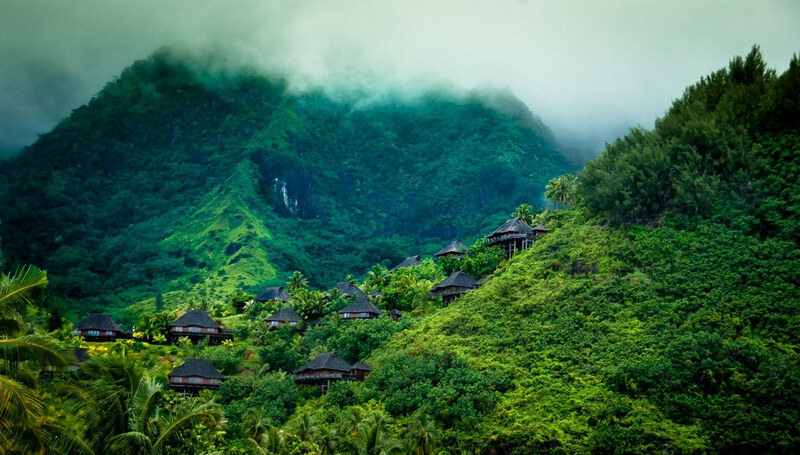 Spend your time here chasing waterfalls like Fautaua Waterfall, and hop on a ferry to Moorea to venture into the jungle that is Vaipahi Gardens.